NEWS – Little dogs always have plenty of room to spread out in the car, but big dogs may need a little more space to be comfortable. 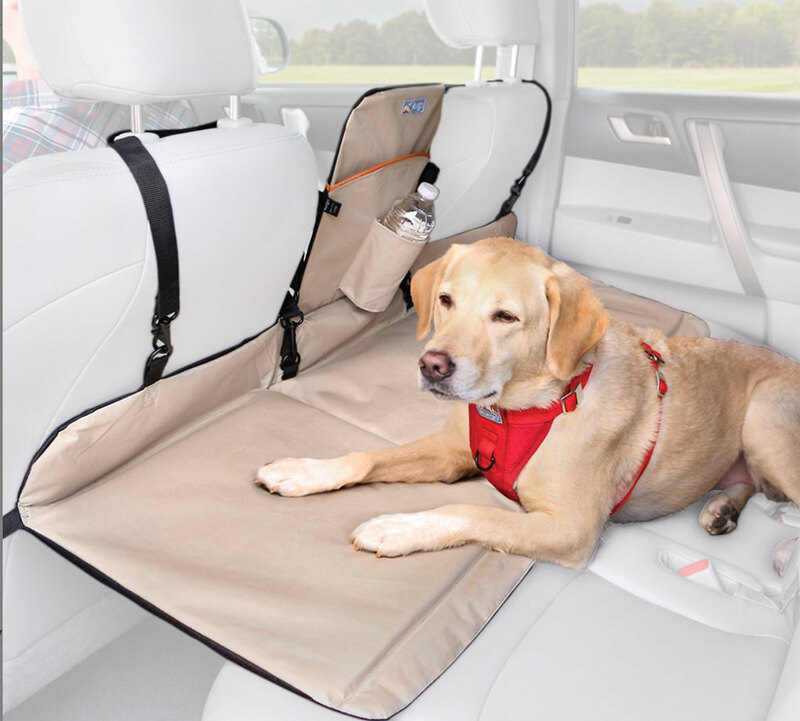 The Kurgo Backseat Bridge covers the gap between the front seats and the backseat, extending the space for your dog to sit or lay. Covering the gap also prevents your dog – big or small – from falling to the floor or just getting down there and getting up to no good. The Kurgo bridge is sturdy enough to support 100 pounds. 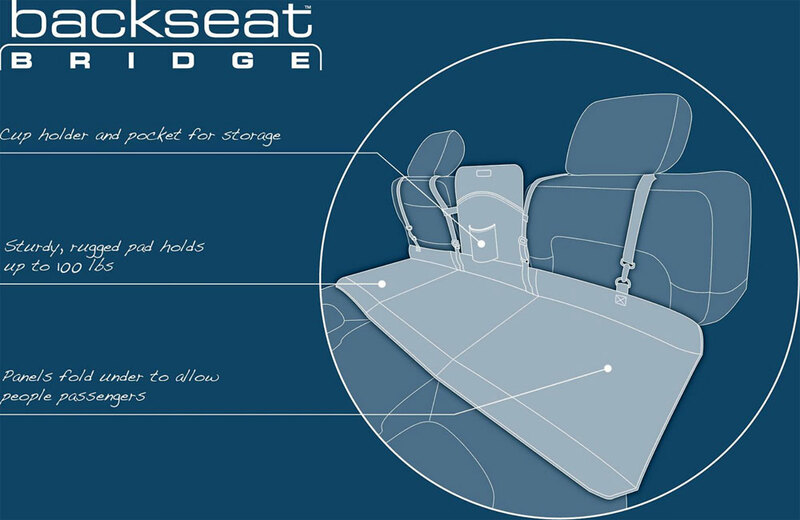 It’s recommended for spaces not greater than 13″ from back of seat to seat edge. There’s a partition to keep Fido from climbing onto the center console and getting into the front seats. It’s made of 600d polyester with TPE backing and is completely waterproof. Black on one side and sand on the other, the bridge can be flipped to match your car’s interior. The Kurgo Backseat Bridge is $58.49 from the Chewy website. To fully protect the backseat of your car, you could add a Kurgo Bench Seat Cover. This waterproof and stain-resistant cover protects upholstery from getting muddy, wet, scratched, or torn. 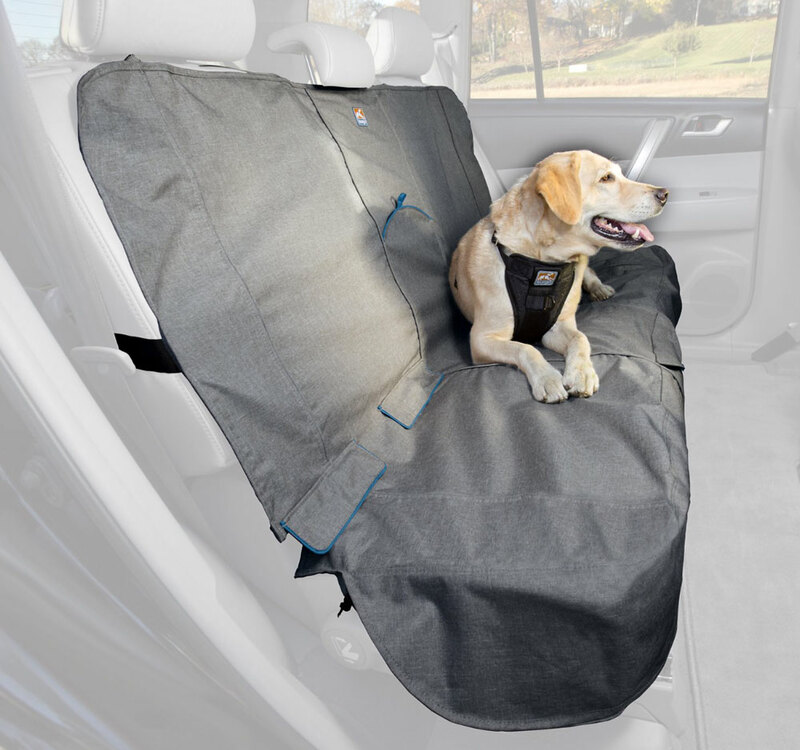 The Kurgo Bench Seat Cover is $49.49, also from Chewy.